Rock Tic-Tac-Toe: The beloved game of Tic-Tac-Toe which we usually reserve for driveways and chalk can now be played over and over again without running out of space. Take an old piece of wood, some paint and a few of your pet rocks for this easy craft. 3) Giant Bubble Wands: If there are no other certainties on your life, know this: no matter the age, gender or interest of a kid, all children LOVE bubbles!! Why not enhance the bubble experience by making a Mega Bubble Wand?! 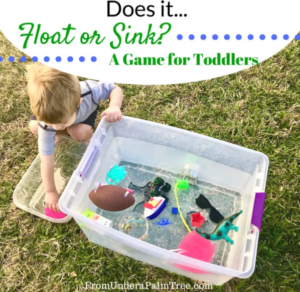 4) Does It Float or Sink Game: This activity is excellent for child development! Literally grab a tupperware bin, water and anything else for this backyard game. Then let the little ones explore buoyancy! Guide the play by asking question like “Why do you think the toy boat floats when upright but when you turn it over and it begins to fill with water, it sinks? 5) Glow-in-the-Dark Bowling: Outdoor activities don’t stop once the sun goes down! After you’re done mapping out the constellations, grab a couple of water bottle, some glow sticks and a soccer ball for glow-in-the-dark bowling! 6) Washable Chalk Paint: Chalk and summer go together just like ice cream and summer or swimming and summer (did I mentioned that I love summer?) 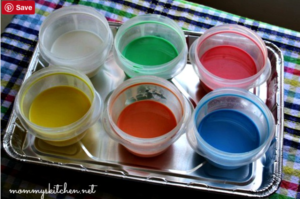 Try out this unique way to make washable chalk paint! 7) Build a Stick Fort: Get back to your roots, literally! Go to the local park and pick up some branches on the ground. Bring them home and start the building! This is a great STEM project to get your little engineer’s gears turning. 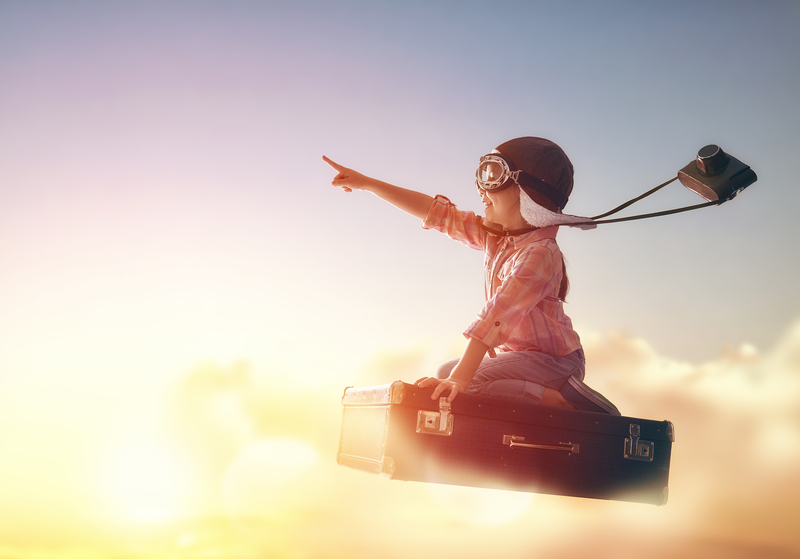 To learn more about how an Au Pair can help you this summer, contact us today! Check out some available Au Pairs today!